Manufacturer of a wide range of products which include chemical blender, powder blender, ribbon blender and powder and liquid blending machine. We are leading manufacture of Chemical Blender which are used for mixing the different chemical materials. 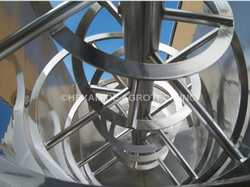 The blenders are supplied with the quality stainless steel and the mild steel etc. We are the Leading Manufacturers,Traders and Suppliers of various types of Powder Blender. 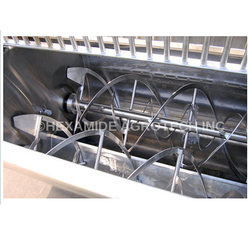 Ribbon Blender is used for uniform mixing of powder, granules and other products. 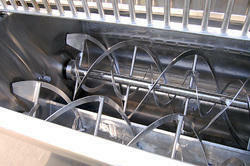 The ribbon blender can also be used as the dryer by putting the jacket on the trough. Well mounted assembly on an MS/ SS structure. Shaft sealing at inside and outside with Teflon bush and SS stuffing box. We are the leading Manufacturers,Traders and Suppliers of Powder And Liquid Blending Machine.